"Why are rocks like boogers? Because no matter how many you pick, there will always be more." When Rob, Joe and I attended school in Northwood (located in the Red River Valley, where there are no rocks) kids would poke fun at us if we mentioned picking rocks. I can remember one boy in particular saying, "Rock picking? Who does that?" We do! 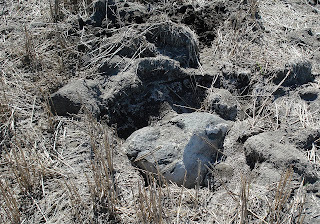 Our farm is located west of the Red River Valley, on the drift prairies, where the ground holds rocks dropped by the glacier that once covered the area. 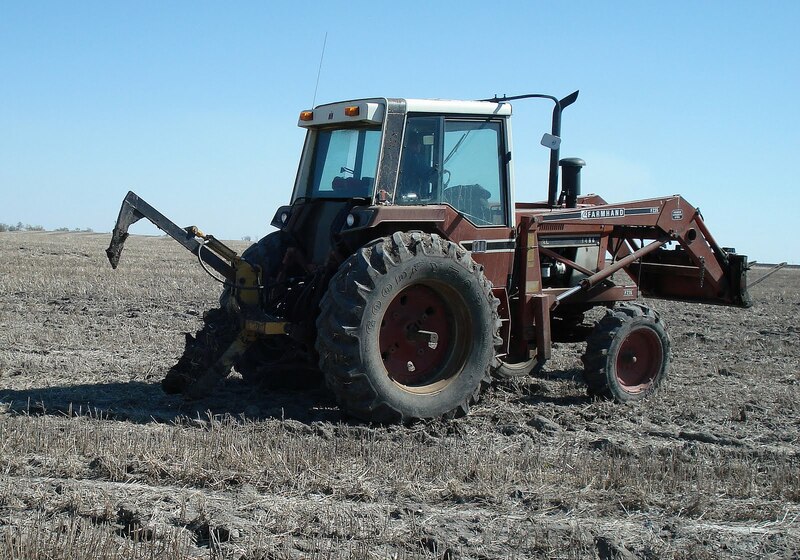 We pick rocks every year, as much as time allows, but especially before planting row crops. 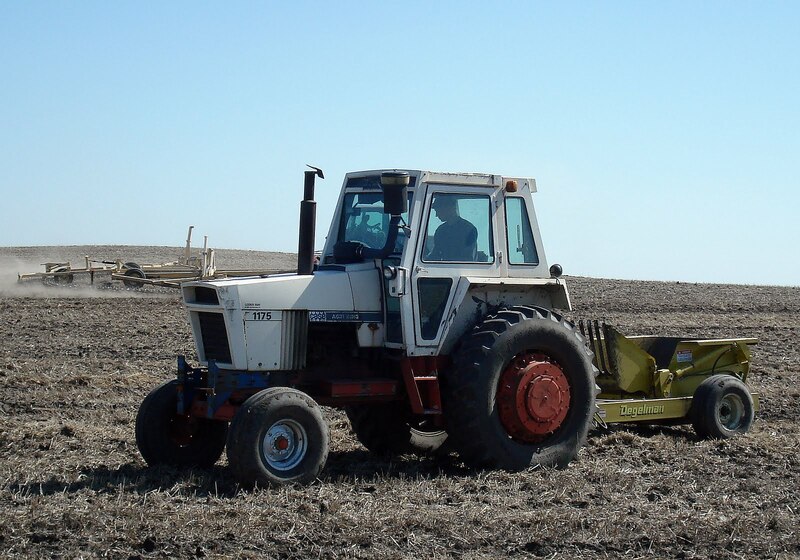 Harvesting soybeans and pinto beans requires the equipment to work in or very near the ground. 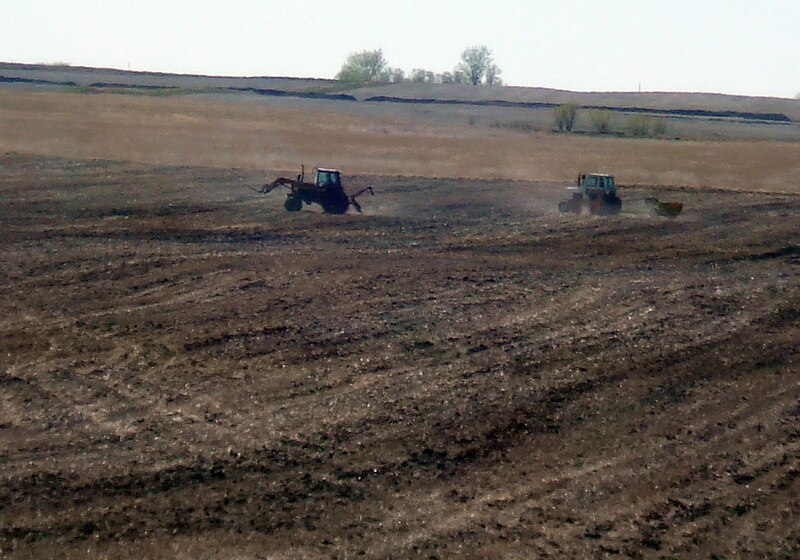 Thorough rock picking reduces breakdowns during harvest. Above: Joe is pulling the rock picker behind the Case 1175 tractor. As far as I can tell, this is his favorite job on the farm. 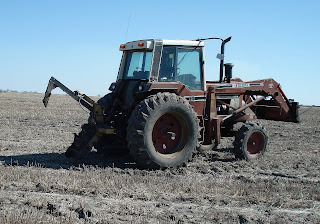 Who wouldn't love scouring every inch of the field, picking up all rocks you find, making sure to time your hydraulics perfectly to lift the rocks without getting a lot of dirt? On this particular day, Joe learned that if you take off your sweatshirt and polish your sunglasses without looking up, you could end up stuck "in the marsh". Just another in the long line of rock picking stories. 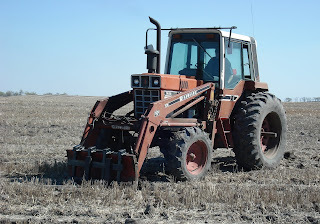 Above: Jim is operating the IH 1486 loader tractor, which has the rock nabber attached to the three-point hitch on the back. The nabber lifts and removes large buried rocks. 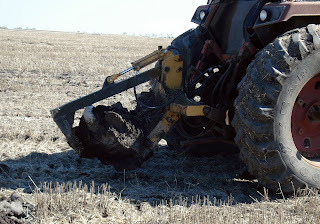 He uses the loader to level the ground after the rock is extracted. 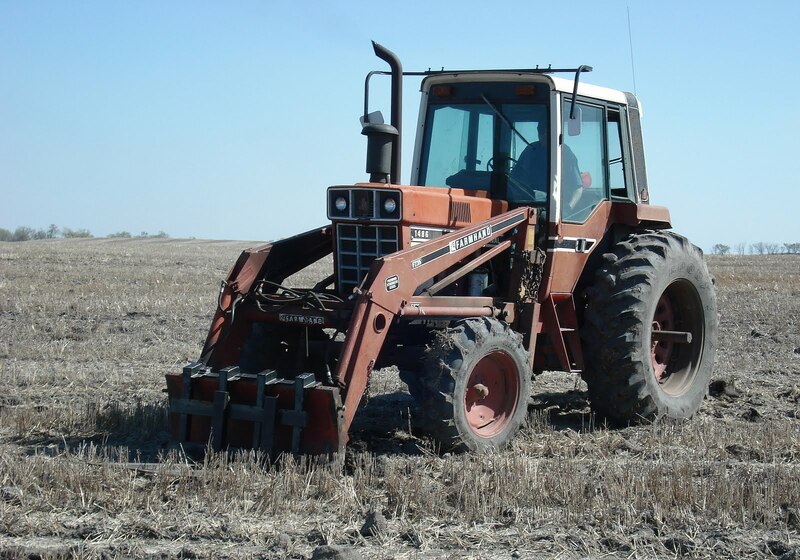 The rock nabber is a newer addition to our farm implements. Grandpa has admitted that it is more effective than the dynamite he used on big rocks in the 1940's and 50's, but not nearly as much fun. 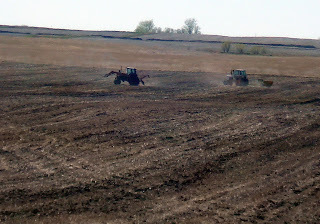 Above: Rock nabber and picker at work. 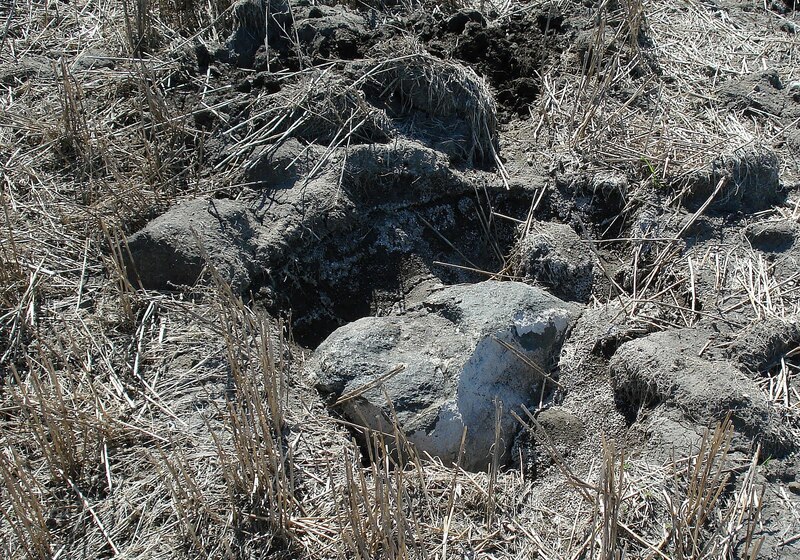 Above: The rock picker can't handle a buried rock this size. You'll see how, with a skilled operator, the rock nabber does its job. Above: Photos just don't compare to seeing the rock nabber in action. Check out the short video clip. Watch to see how much faster it is than the old shovel, crowbar and chain routine. Above: With the rock secure in the nabber, Jim will haul it to a nearby rock pile. Above: After the rock is removed, Jim fills the hole using the blade on the loader.